Opening our Global Conversation on Leadership & Management is Stavros Baroutas. 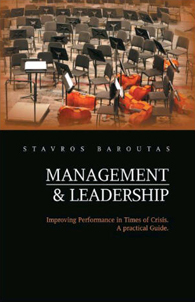 Stavros is the author of 5 business books covering leadership and personal development. Stavros is a Regional Manager in northern Greece for a pharmaceuticals company, has an MBA and PhD and is a Chartered Manager (CMgr). It is generally accepted that people today live in a constantly changing environment. Due to economical crisis the rate of growth reduced continuously, especially in EU which experiences the worst economic and social situation during the last four decades. Moreover, the flexibility in the labour market and demographical changes made very difficult the capability to working for someone. The ever increasing demands for profits have highlighted the role of managers in any organization, private or public. There is no doubt that any manager has to have some basic characteristics, which reinforce their profiles and give the opportunity to the employees to develop their skills. Parallel to that, each manager has to inspire the employees, in the level of the efficiency. In the following lines I will try as much as I can to describe some basic elements, of successful management. In the last decades, when the demands from the market were not as intensive as they are today, the role of manager, was not so important. However, as long as the company profits were concerned, they had a very significant role. But today things have been changed. A manager is concerned to be a leader. A kind of a hero. It’s not like spider man or superman, but a person who can inspire, attack and come out intact from the transactions and reforms. He must be able to find solutions, but mainly has to be insightful and to have increased perception of the present and future conditions. It’s important for a leader to be exigent for his colleagues. Many people support the idea that the most significant thing for a manager is to find the best collaborators so as to fulfill the requirements of the company. I strongly agree with this opinion. Today’s leaders are expected to make their way ‘through the fire and flames’. Current crises cause considerable variations in and out of the framework of organizations. Skills to be developed for immediate use would be best described as survival mechanisms, particularly in cases where leaders had acquired such capabilities in the past and are now called to put them in practice, in order to be distinguished in their field of activity. On the other hand, tomorrow’s leaders will need to demonstrate that they have struggled all the way to their position. Current circumstances are tougher and more complex than past conditions, primarily due to the financial crisis that has permeated the market and households. Hence, the one who struggles in such a chaotic reality might as well be considered a hero. Likewise, the one who has been shaken without falling down is a hero. The word ‘hero’ may sound weird in this context but one should consider that, from a state of past abundance, significant parts of the population—employees, families, citizens—have now been reduced to deprivation. The rate of unemployment keeps rising on a daily basis, rendering the situation even more unfortunate. Therefore, such circumstances suffice to justify an increasingly aggressive and demanding environment. According to all that, a leader has to be continuously alert to any change and develop immediate and direct reflex. Faithful to leaders, minding to provide them with a detailed account of the current circumstances. Moreover, their actions are characterised by high ethics and integrity all the way. They manage to live through every day events, attaining desired change and avoiding being manipulated. Further qualities of their personality are psychological strength, self-control, diligence, patriotism and adequate knowledge. These attributes help them to become the leaders of tomorrow. Today’s heroes are the ones who have suffered misfortunes without giving up and have finally managed to overcome them. Such could be employees who managed to combat redundancy or business people who managed not to proceed in dismissals of workforce. Furthermore, they are the ones who struggle employing legitimate means and finally manage to survive. They are capable of acquiring the best possible results due to their sharpness, creativity and innovation. In the setting of business, heroes have faith in the organisation and the leadership. They go the extra mile for the benefit of the organization and remain faithful to leaders, minding to provide them with a detailed account of the current circumstances. Moreover, their actions are characterised by high ethics and integrity all the way. They manage to live through everyday events, attaining desired change and avoiding being manipulated. The aforementioned attributes help them to become the leaders of tomorrow. Want to find our more about Cloud Management Systems? 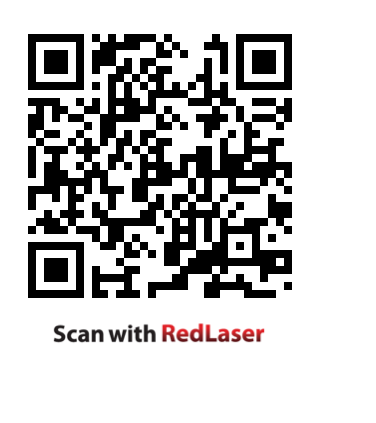 Just scan our QR code below or click here and we’ll take you straight to the Cloud. 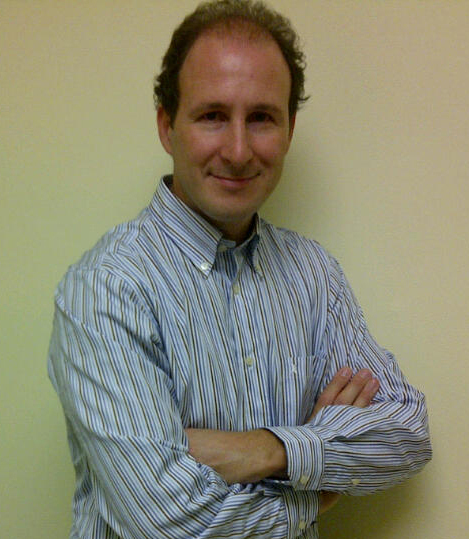 Congratulations Stavros on starting a blog on Leadership and Management! You bet we bitterly need it in these harsh times.., Look forward to more posts…. In a constantly changing environment a leader must be a motivator , trying to get the best of his colleagues and moreover improve them .. Understanding differences and giving opportunities towards excellence ..
Great point George, thanks very much! When you look at success, it’s character that that overides everything! Thanks. That’s an interesting point that also links into the next installment of the Cloud Conversation – should leaders and managers be likeable. We’ve got LaRae Quy, a former Special Agent with the FBI and now author and expert in influencing and persuasion sharing her expertise on 01.03.12. Character also features heavily in Stavros’ “Calling all the Heroes”? Is it character learned or genetically inherited (or a bit of both)?